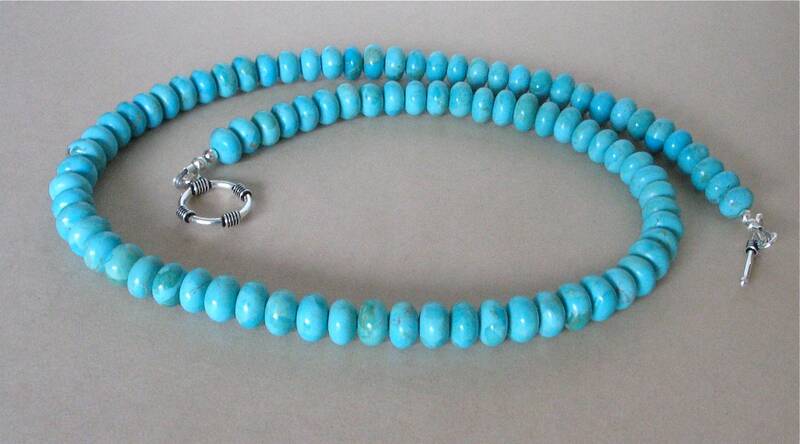 Lovely Kingman turquoise necklace! Nice bold 8mm size turquoise beads, from the Kingman mine here in Arizona. Finished off with a sterling silver toggle clasp. Please take a look at the last photo where I have placed a dime next to the necklace so you can see the size of the beads. This necklace is 19 3/4 inches total length including the toggle.